Tamil » Cinema News » Exciting update from Siva Karthikeyan's Mr.Local! Exciting update from Siva Karthikeyan's Mr.Local! Siva Karthikeyan has been acting in director M Rajesh directorial Mr Local currently, and the movie produced by Studio Green has been making steady progress, currently in post production phase, and was announced by the team officially as a May 1 release. 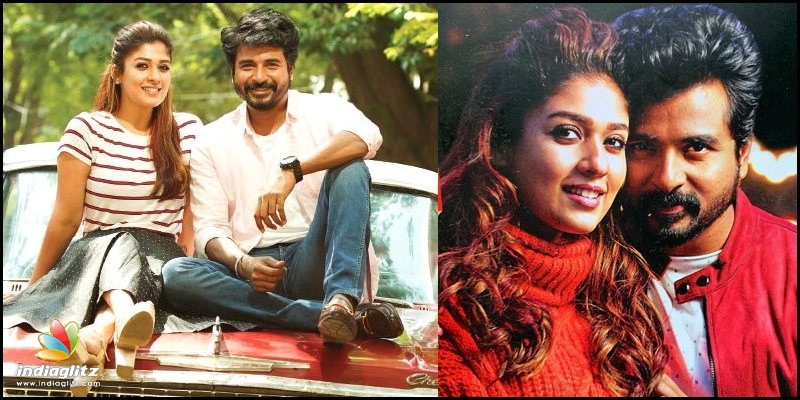 The teaser of the movie released on eve of Siva Karthikeyan's birthday was well received by fans of the actor, and the duel between Siva Karthikeyan's character and the forever at loggerhead Keerthana played by lady superstar Nayanthara is going to be the crux of the movie. Now, Studio green has announced that the update on the first single will be revealed tomorrow. Mr Local has Hip Hop Thamizha collaborating for the first time with Siva karthikeyan and Rajesh. The movie also stars Radhika Sarathkumar, Satish and many others as part of the cast.